An excellent way to carry art with you. This piece features a retro illustration of a classic tin toy robot of yesteryear, You can tell Battery Operated Robot is a stellar robot just by the way he carries himself. The retro robot posters and toys had such character. The robots, for being made of dials, switches and metal had such personality behind their black eyes. 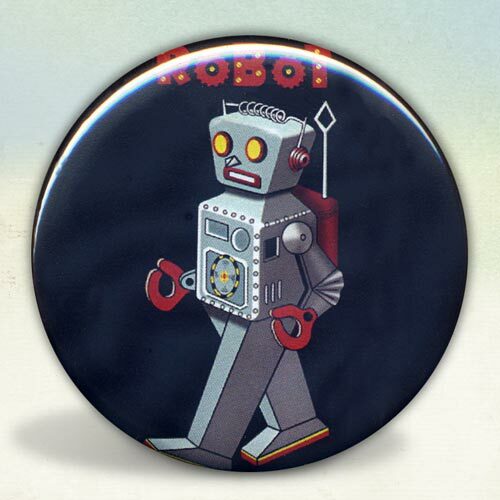 A lot of work went into restoring some of these old robot images, but it was well worth it.